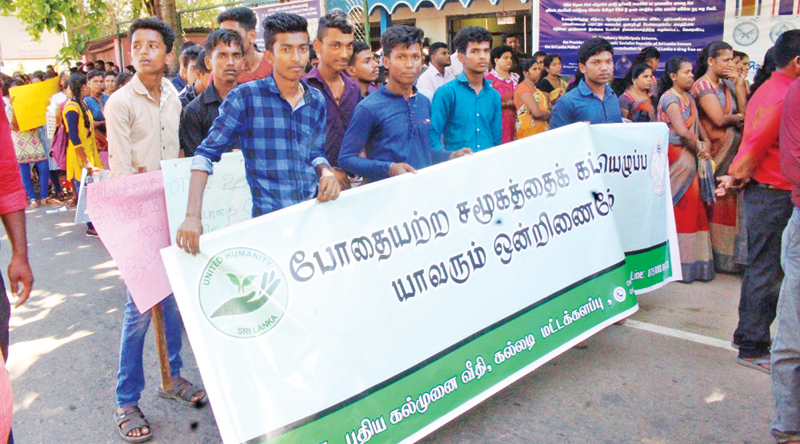 Officials of the Manmunai South & Eruvil Pattu Divisional Secretariat, the Presidential Secretariat and the Police organised a anti-drug procession and awareness campaign on April 11. This is the third time such a campaign was held in Batticaloa. The participants carried placards displaying anti-drug slogans. The procession started from the Divisional Secretariat and ended at the Kaluwanchikudy Police.